The Fresh Market’s Fall. How this once great company became a shell of itself, from the inside. 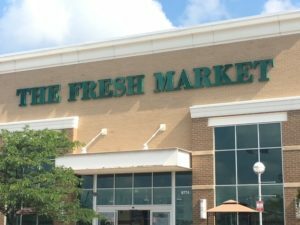 I worked for The Fresh Market (TFM) for more than 14 years. Even though I have been away for over 6 years, I kept up with what was going on with the company. I also had many co-workers still working there. The recent trajectory of the company has me reflecting on what happened. TFM was a fabulous concept that made tons of money. From my point of view, here are some of the missteps. What made TFM great in the beginning was the food! Everything was made in house. Potatoes were baked for twice baked potatoes. Not frozen shells and premixed potatoes. Pimento cheese made from scratch. There were no frozen items in the bakery, it came from a mix and was baked. It was only the best available. Salads were made, not poured from a carton. Standards were very high, as they should be! This was the TFM niche. Premium foods, ambiance, extreme customer service, a bit of classical music to go along with your shopping experience. A combination of factors moved them away from some of those core values. The founder got out of the running of the business. Leaving it to his son. He in turn brought in college friends. This didn’t work as planned. One of the most baffling things about the organization was the insistence on their management team being able to transfer to any store. They would constantly hire assistant managers with college degrees, they would work a few months (if that), and leave. It became a running joke. How long would this one last? All the while, they had very capable people in store that could more than handle the job, yet they wouldn’t let them move up because they wouldn’t say they would relocate. These people would have done a great job, had families, and were stable. Yet, because they wouldn’t move, they couldn’t advance. All this money spent training people, wasted. Constantly turning over the management team. All too often, there were associates in management with little or no retail experience. Yet, because they had been through training, they thought they knew it all. Simply amazing how many times they had to be educated. Them trying to tell seasoned associates HOW to do their job, a job they had never done. Frustrating would be putting it mildly. Competition, along with trying to expand the customer base meant cutting costs and carrying more non-food items. The rise of Whole Foods and Earth Fare had an effect. Premade deli and bakery products replaced the from scratch items. The old world feel of the store faded. They simply lost touch with what made them successful in the first place. No longer was it a gourmet store. At the same time, the quality went lower, the prices didn’t. The customers saw this. A bit later, a non-realistic expansion plan was put in place. Logistics just weren’t there to support the stores to begin with. Yet they kept building them. Then closing them. They are still closing them. During this timeframe, major changes happened for the associates as well. This used to be a great place to work. Then it went to cutting hours in every department. Even before the sales went down, the SPMH (sales per man hour) went up, and up. It got to the point of being unable to have coverage, yet you still have this work to do. Unsustainable! You can’t give great customer service with nothing on the shelf, or with no one to wait on your customers. Stop me if you’ve heard this before. TFM is now owned by a private equity firm, Apollo Global Management. Add to that, the company has had three CEOs in four years. The current executive staff just wiped out half of the old TFM staff in the field. I knew many of these people. One of them was my District Manager when I was hired 20+ years ago! Some were replaced by ex-Winn Dixie personnel. At the store level, a lot of the old staff are being cleared out. “Headed in a new direction” is the mantra. What does that mean? Getting rid of the people your customers know and trust? Sounds like cost cutting to me, but I am not on the inside anymore. TFM and WD are different animals. It used to be a great place to work, now it is on the list of worst companies to work for (https://www.bizjournals.com/triad/news/2017/06/06/triad-employers-listed-among-worst-companies-to.html). When these companies are owed like this, there is only one thing that matters, money. They cut and cut regardless. At this point TFM is still making money, but for how long? Will it become saddled with debt and go bankrupt? They continue to close stores. Right here in Fishers Indiana, they opened a store less than five years ago. Absolutely beautiful. It just went out of business this month. High prices, lack of niche, lack of vision, and competition that does it better killed it. They closed 14 other stores at the same time. The expansion has stopped. The once darlings of the grocery world must now come to grips with reality. Get it right now, or there is a large possibility of more contraction, more closures. I would hate to see it go away completely. Who knows what the future holds. Bigger players than TFM have fallen. Maybe they reinvent and become The Fresh Market again. Or, maybe it’s too late for that. 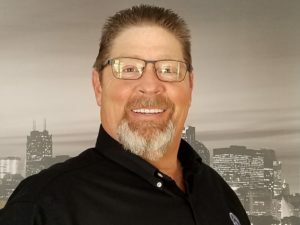 With 30 years of retail management experience and over a decade of technology and field services experience, Jack has successfully blended his experience in both fields to give retailers an insight few others can offer. He understands the pressures of being in a leadership role in a fast paced, retail environment with superior customer service always being a primary focus. He uses his passion for computing to help retailers utilize technology to increase customer satisfaction and expand their brand. As Founder of OPL Technologies, he is positioned as an expert in designing and managing complex retail technology deployments.